This template is best showcased on a digital signage menu board and placed at the entrance as well as indoors of the restaurant. Americans love food , all kinds of food. 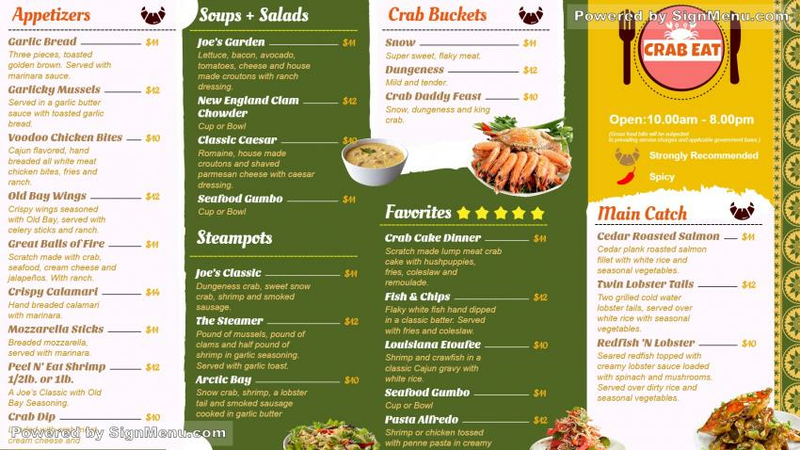 and a crab menu is much in demand. Restaurants that serve exclusive menu are known by their quality & reputation. And a digital signage menu board will illuminate their offerings in the evenings effectively. Further, they can update their menu anytime, and remote control the restaurant operations. All these, a marvel of digital software technology. This template is ready for download and use.